Anyone here getting rubbish performance whilst using an AMD cpu? I have an 8320 and am getting terrible performance at a point fairly early in the game. Lots of people, fire effects and outdoor stuff. I got 13 fps in one area. I have an nvidia 970 and 16 gigs of ram and have high texture quality, 1440x900 resolution and most everything else on normal. I think this might be a common theme with Feral ports. Shadow Of Mordor also has poor performance on my system, also XCOM 2.
edddeduckferal Just got confirmation from the nice guys at Valve and we should have solved all your download issues if you had a package that didn't correctly update. SirBubbles Anyone here getting rubbish performance whilst using an AMD cpu? I have an 8320 and am getting terrible performance at a point fairly early in the game. Lots of people, fire effects and outdoor stuff. I got 13 fps in one area. I have an nvidia 970 and 16 gigs of ram and have high texture quality, 1440x900 resolution and most everything else on normal. See if game use more than 3.5GB video RAM. GTX 970 are slow when use more than 3.5G. 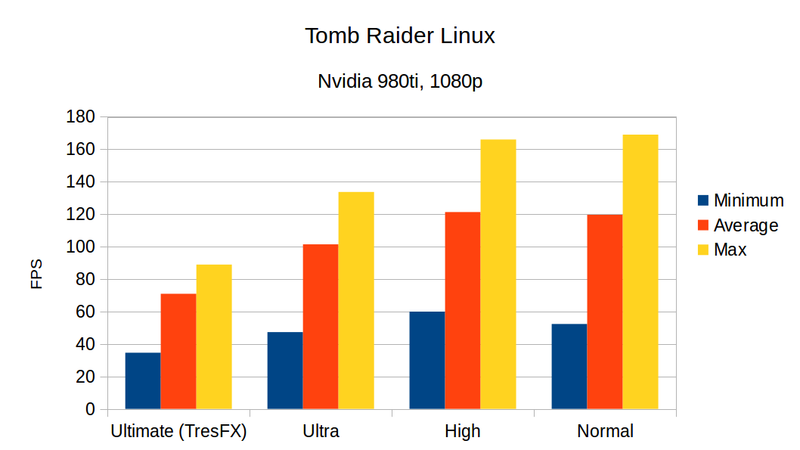 Also you should have great performance with that rig in linux. Use Ubuntu 16.04 Unity and see again. You also may have a bad Mobo too. Same here with FX8350, GTX 970, and 16 GBs of 1866. Isn't TressFX supposed to be for ATI cards? Or is it supported by Nvidia too? 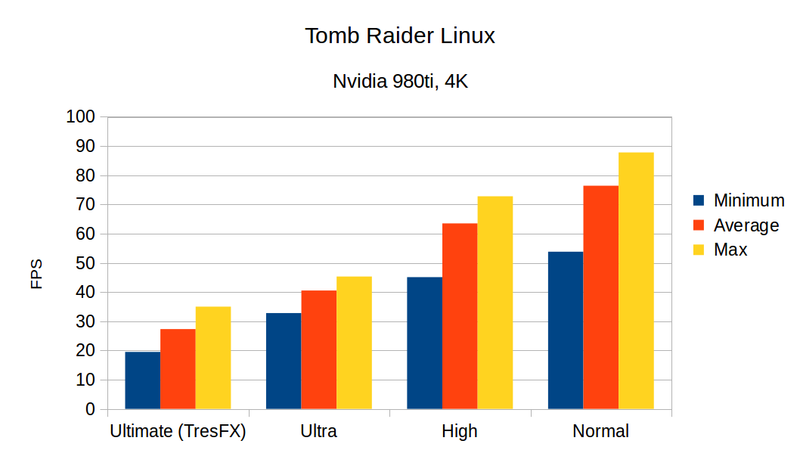 Cause else it's no wonder there's a performance dive on Nvidia cards with it turned on...? I played less than 1 hour but it seems with nvidia driver 352.79 (debian backports). I saw bugs (black screen) and other pb and I was unable to see what I was doing, but changing settings (low) helped me to continue and it"s really slow at some points but it works.